The Albertina is one of the three main places in Vienna to get a behind-the-scenes look at the palace lifestyle of the Habsburg dynasty. The other two are the Hofburg and Schönbrunn. The palace began life as the Tarouca Palace in the early 1740s, becoming a formal Habsburg residence in the 1790s when the Emperor made a present of it to his son-in-law and daughter: Duke Albert of Saxe-Teschen and Archduchess Marie Christine. The Duke brought his art collection with him, providing the basis for what we see today in the galleries. Various inheritances saw the palace pass to Archduke Carl in 1822, Archduke Albrecht in 1847 and Archduke Friedrich in 1895 (yes, there are a lot of Archdukes in Austrian history). All did their bit to extend or refurbish the building. The Republic of Austria took over in 1919, after the monarchy was abolished. A ticket to the museum includes access to around 20 staterooms. If some of them look almost like new, it’s because they are. Blame WWII bombs, which destroyed extensive parts of the property, so what you see is a mix of original and restored (but historically accurate) rooms and furnishings. The self-guided tour takes you through bedrooms and ballrooms, studies and Spanish apartments, reception areas and a rococo “classroom”, and much more. As part of the renovation project, the original furniture was brought (or bought) back, including many early 19th century pieces from Danhauser – a forerunner of today’s department store. The Danhauser factory would take care of everything to do with interior decoration, so you could order it all from one place. Look down: there are some beautiful wooden floors (for example in the study). Look at the walls: no cheap wallpaper here – it’s mostly silk all the way with stylish wall linings in various colours. So you go from green to red to yellow and so on as you move through the rooms. Look at the mirrors, lighting and windows – often these are artfully arranged to create a nice effect, such as seeming to make a room bigger, or to draw the eye to a particular feature. 1. The rooms gives you insight into royal life away from the twin pillars of Vienna’s Habsburg tourism: Empress Maria Theresia (and husband Franz) and Emperor Franz Joseph (and wife Elisabeth). 2. 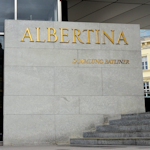 The Albertina has a more open, accessible feel than the Hofburg and Schönbrunn – you are free to wander around many of the rooms without restraint. 3. The audioguide is excellent. You’ll need one, because the display material in the rooms is largely in German. It explains the context and ideas behind rooms and the items within them (such as why there’s a rooster on Minerva’s helmet). As usual with audioguides, you simply key in the number of the room or item you’re looking at. Tip: when you pass through the ticket control, key in 300. This is the first room number – unlike in later rooms, it’s really hard to spot, so you can easily think the staterooms audiotour starts much later (hopefully they’ve fixed this by now).